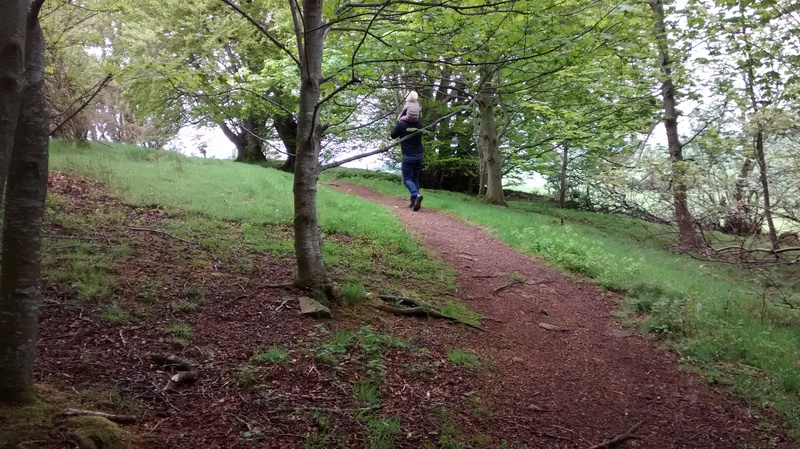 We decide to repeat the walk that I did with Ernest up Battlehill into the woods. 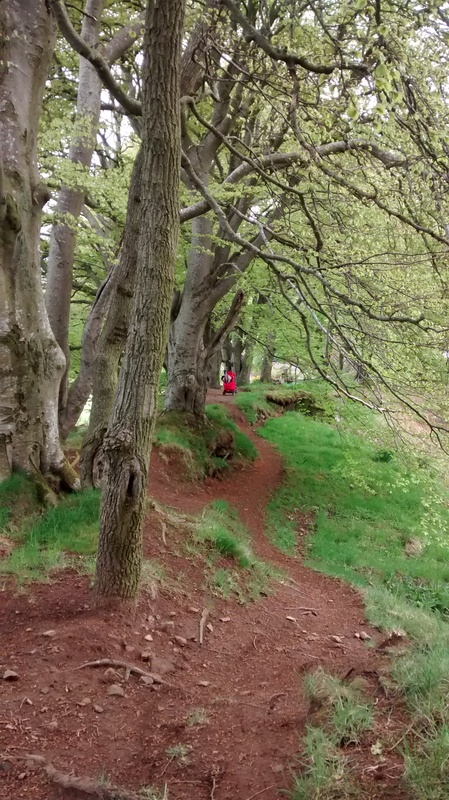 We walk the other way to get there, down the lane and around. 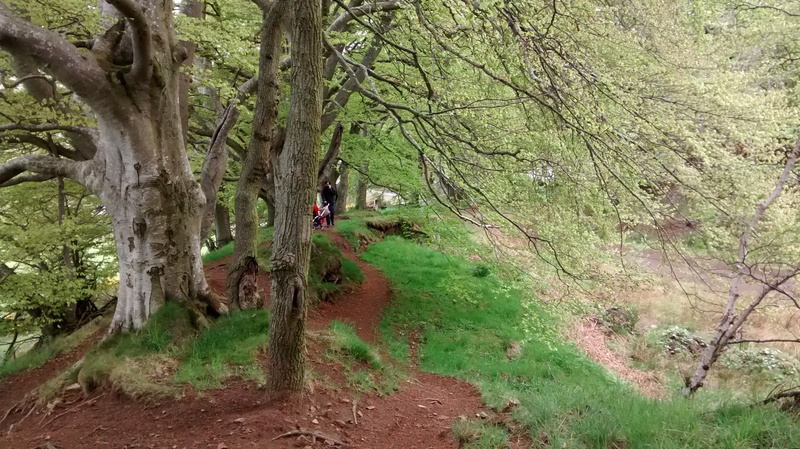 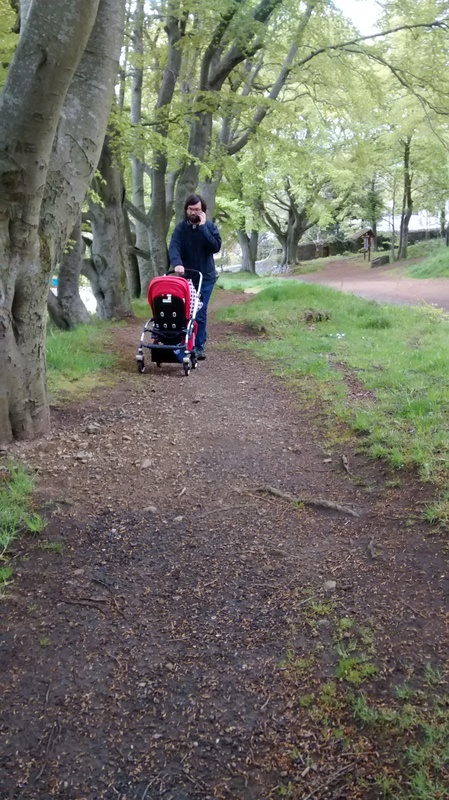 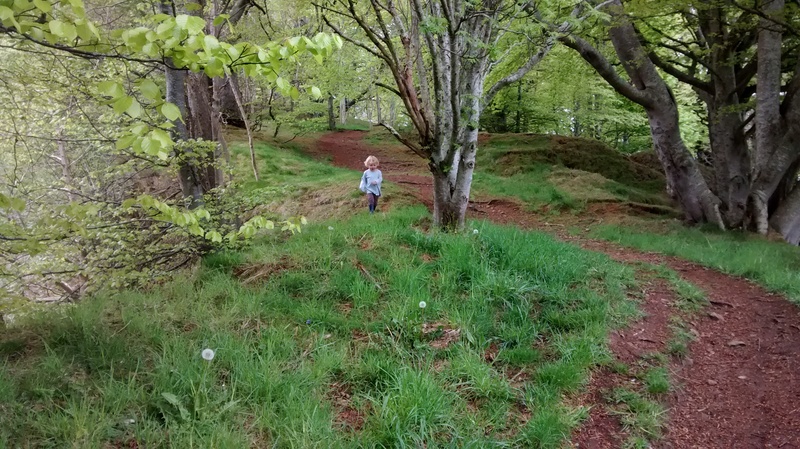 We see one footpath up, but there’s no way the pram will get up it, so we loop around and go up the hill along the road to the woods. 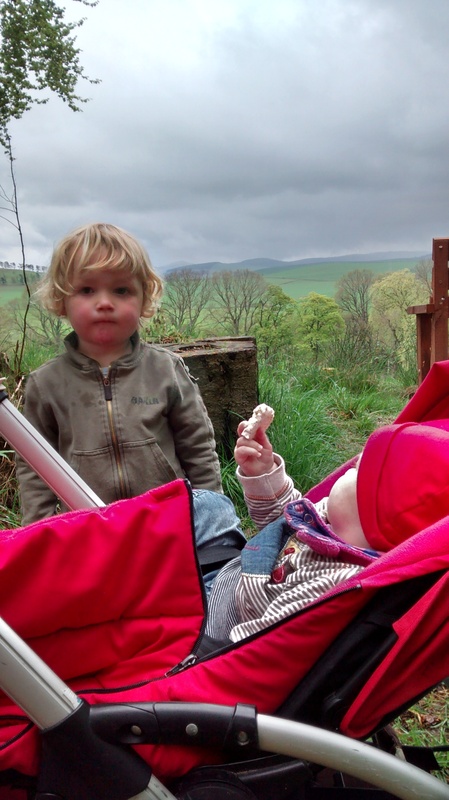 Ruby’s in the pram, which makes it much lighter, and Barney lifts it and jiggles it along the path that I had thought was impassable. 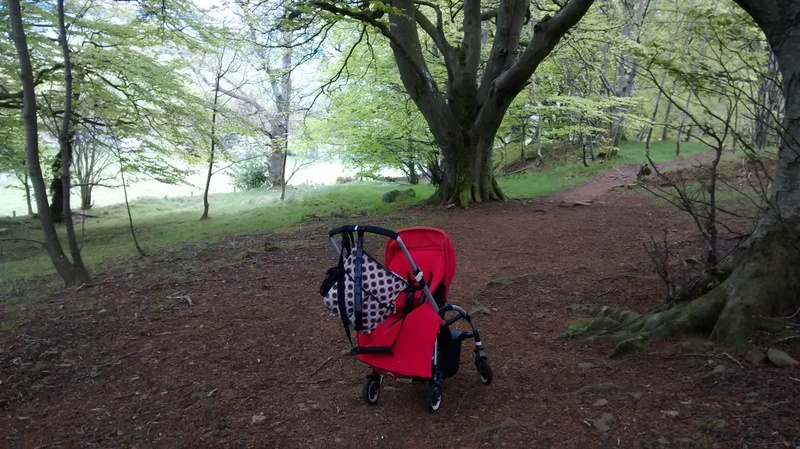 We make it a way into the woods before abandoning the pram, putting Ruby in the sling and Ernest walks (or is carried a little).